We posted last week for our first stop on this Power Blog Tour featuring The Watcher. 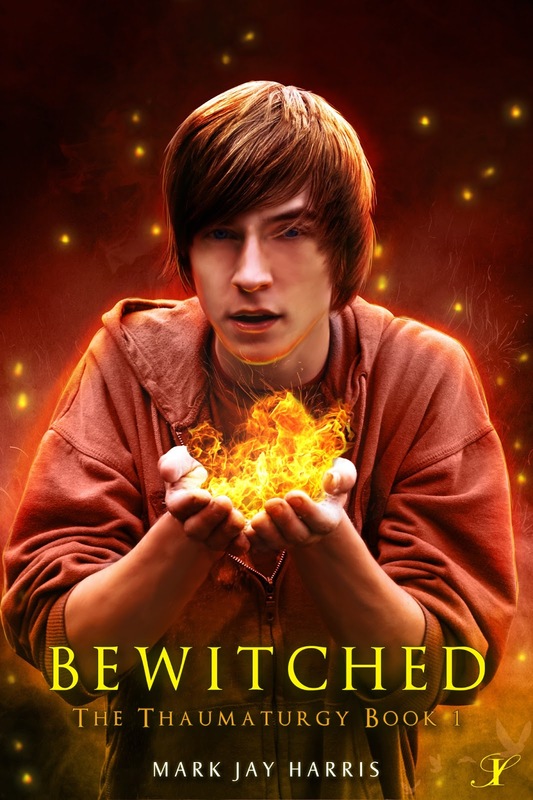 Our second stop is today and we host Bewitched, The Thaumaturgy Book One Blog Tour. Welcome. Darren stared beneath the suspended casket into the open hole watching small bits of wet dark earth crumble from the edge and slip down into the black void. He felt totally detached, outside of himself the folding chairs and the freezing rain, watching people bury a complete stranger. The entire event might as well have been on television for all the connection he felt with what was taking place around him. Crissy glanced up at him and smiled. His six year-old sister’s almond eyes, a product of her Down’s syndrome, sparkled up at him, happy despite the rain that dripped from the rim of her black hat. It must be nice to be Crissy, blissfully unaware that their brother Ethan wouldn’t be coming home from Perú. To her this was just another social gathering; a time when people came together and were nice to her. Life had to be easier when you didn’t totally grasp everything that was going-on around you. A cold blast of air shot down Darren’s shirt, bringing him back to his dreary surroundings. His tall frame shook involuntarily from the sudden chill. Before it completely passed a blinding bolt of lightning flashed out of the dark sky and struck the ground behind the assembled mourners. Darren jumped up from his seat and stared at where the lightning had hit expecting to see the people in the back screaming, running for cover, while those closest to him jumped to their feet, terrified. No one had moved in the slightest. No loud crack of thunder shook the ground. In fact it was almost unnaturally quiet. Bishop Barlow droned on as if nothing had happened – except for a slight pause and a curious glance at Darren who had leapt to his feet with a wild expression on his face. Matt and Amy Stevens, Darren’s parents, looked up at him, as if he had just grown an extra hand from the center of his forehead. Hesitantly he sat back down, confused and a bit shaken. Crissy reached up and grabbed his hand and gave him a wry smile as if she understood. There had been a bright flash of light – even if it hadn’t been lightning, it had been impossible to miss. How could he be the only one to have seen that? He looked back at where the lightning had struck – or hadn’t struck. Nothing appeared amiss; there was no scorched earth; nothing was out of place; just people huddled together, shoulders hunched against the rain straining to hear what was being said up front. But then he realized something was different, or at least he was pretty sure it was: those two strange men in the back – they hadn’t been there a moment ago. He could have sworn they weren’t part of the original group of mourners. Under normal circumstances, two men in suits wouldn’t look out of place hanging out at a funeral. And they wouldn’t have even drawn Darren’s notice except for the weird way the sunlight played upon them, making them look a bit ghostly against the dark afternoon sky. But the closer he examined them, the more out of place they appeared. Unlike everyone else who was hunched in a defensive posture to ward off the unexpected rain; these two stood erect, calmly surveying their surroundings, seemingly unbothered by the unpleasant weather. Looking closer, he thought he discovered why this was the case. It seemed as if the rain was somehow missing them. It rained all around them, but didn’t hit them. He might be wrong, but it nevertheless caused a small knot of fear to tighten in his stomach. For a moment he thought he might be looking at ghosts – but he couldn’t take his eyes off them. The taller of the two had elaborately styled blond hair, flamboyantly swept to one side like the singer from his mom’s “Wham” CD. The man smiled like he wasn’t attending a sad event, but was here to greet a bunch of old friends. Completely opposite of the first man, the second was so obese he gave the impression of being nearly as wide as he was tall. He and had a cruel face with a crooked mouth and a bald head with short tufts of hair above his ears. No rain dripped down the sides of his bulging cheeks or across the front of his glasses. The weirdness of these two men was freaking Darren out. Finally looking away, Darren scanned the rest of the crowd, but no one else seemed to notice this peculiarity about the men. In fact, no one else seemed to notice the men at all. He was suddenly reminded of the eerie stories his grandfather, Atavus told him and Crissy: creepy stories of witches and warlocks and the freakish powers they had over nature and the world. This time the shiver that shook him came from inside. Darren studied his little sister in her matching hat and jacket shivering in the cool, wet air. The last time either of them had seen Ethan was right before he’d left for Perú. It was the middle of July when Ethan and his two closest friends, Jeff Tabor and Tabitha “Tabs” Winchester got on the airplane at Salt Lake International. The three of them were traveling with Utah State University’s Anthropology department for a five-week Ethnographic Field School in a small fishing village on the sea-coast called Huanchaco. A week before Ethan was supposed to return to the United States, mom had received a phone call. It was from the University, a Mr. Jacobsen. It started off with, “There was an accident,” and ended with, “I’m so sorry.” It had taken a month to recover Ethan’s body and ship it back to the states. Everyone rose for the conclusion of the service, the dedication of the gravesite. Following this they would lower his brother’s casket into the ground. Darren glanced to the back of the mourners to catch a glimpse of the two men that were able to stay dry in the rain, but there was no sign of them. While everyone else’s heads were bowed in prayer, Darren searched across the rolling lawn that led to the curbside where strings of dark cars were parked. The men were nowhere. He began to wonder if he’d imagined them – unless they had been ghosts after all. The anxiety of Ethan’s death must be messing with his head. After the dedicatory prayer, those who braved the weather came by to express their final sympathies to the family members. From somewhere umbrellas had been produced so that the rain no longer fell on Darren and his family as they shook hands and listened to people share obscure memories of Ethan. They meant well, Darren understood, but found himself ready for the day to be over. Crissy sat and grinned at each person who shook her hand. There was no impatience on her part, nor any sadness at the loss of brother. The casket had been lowered into place and finally the family was making its way down to the cars. Darren shivered again. Another blast of cold air slipped between his neck and collar. He was almost to the curb when the second flash of lightning struck near the burial site. He whipped around to see what it hit. But there was no damage, no fire. Nor was there anyone else reacting to it. Like the first flash, the same strange men appeared to be where the lightning had hit. Darren watched as each drew a leg from around the staffs they had been carrying; apparently they had been straddling those moments before the sudden pulse of light. They drew the poles upright looking like hikers as they approached the hole where Ethan’s casket lay. They peered down into the cavity of earth apparently intent on ensuring that the casket was safely underground. A ray of sunshine hit them in the same curious way that made it difficult to see them, giving them a translucent quality. Who the freak were these guys? How did they know Ethan? He was about to ask his father but his parents were ushered back toward the hearse before he got a chance. Then he and Crissy were hurried into a dark sedan and driven back to the church. A luncheon had been prepared for after the service. Darren’s family, his parents and sister, along with aunts and uncles and grandparents from his mother’s side were all in attendance along with some close neighbors and friends. Several of Ethan’s basketball teammates had shown up from the University and expressed their condolences. Noticeably missing from the gathering, however, were Jeff and Tabs. They had been in Perú with Ethan and also perished in the cave-in that had taken the life of his brother. The strange men from the graveside did not put in an appearance. At last five o’clock arrived and the awful day finally wound down freeing Darren and his immediate family to go home. Since Ethan’s death, Darren’s parents had transformed into strangers. They had stopped talking – except for simple answers to questions. His parents had been the type that people were drawn to. Making others feel comfortable and welcome just came to them naturally. Darren’s father, Matt, who could always be found in the kitchen cooking, baking or barbecuing while blasting music, retired alone to the family room to watch the news. His mother, Amy, a part-time nurse, who patiently listened to other’s complaints only to lift them with her naturally positive personality, went straight to their bedroom. Darren was sure she was in there going through the photo album again. Crissy had wandered off down the hall toward Atavus’ room. She and their grandfather got on extremely well. Just like Ethan had. Darren loved his ailing grandfather but didn’t share the same connection with him that his brother and sister did. Darren’s bedroom was upstairs, across the hall from Ethan’s. He didn’t fight the impulse but went straight into his brother’s room and sat down on the bed. Everything was exactly the same – as if his brother’s passing hadn’t connected emotionally with the objects in his room. They waited patiently in expectation of Ethan’s return, unaware that they should somehow be different. On the bedside table next to the clock radio was a photograph of Ethan rappelling off of Corona Arch in Moab, Utah. Someone from the ground had taken the picture, capturing Ethan in a dare-devil position. He was suspended about forty feet beneath the giant red arch with a one-hundred foot drop beneath him. It was a spectacular shot! But then Ethan had been spectacular. He excelled at everything he did – basketball foremost, but he was also an excellent student and musician. Before graduating from Sky View high school, Ethan had taken a shop class and built his own headboard. He’d used a beautiful hardwood which he’d sanded and lacquered to a glossy finish. Considering his brother’s accomplishments Darren couldn’t help but feel inadequate. There was nothing Ethan couldn’t do. The headboard was five feet tall with three levels of shelves built in as well as an outlet and light sockets. The back was made up of reflective mirror squares full of Darren’s shaggy brown hair and blue eyes. He looked at himself and contemplated his too large nose. Thanks Atavus, he glumly thought. He needed a haircut; it kept falling in his eyes forcing him to continually brush it out of the way. He wasn’t the most handsome guy in the world, but being tall helped. He had reached the same height as Ethan, six-foot two. Something they had both commented on just before his brother left. Continuing his perusal of the headboard Darren gazed at the upper shelves with sliding glass doors, behind which sat most of Ethan’s trophies and awards. The majority of them were for basketball, but there was one for an art contest, and two for musical competitions – Ethan had played saxophone and guitar. Considering these awards he felt a strange melancholy wash over him at the way they stood in proud defiance like everything else in his room declaring the achievements of a person whom they refused to recognize no longer existed. He ran his hand along the side panel of the headboard, drawn to it because there was a small flaw there. Granted, he was being nit-picky; it was almost impossible to detect. He touched the corner where the joints met with the faintest indication of a raised line. Every other corner of this masterpiece was perfect, with the exception of this one edge. Not like Ethan to have missed it. As he felt along the seam, his knuckle brushed against the upper part of the shelving, catching on a small notch that wasn’t visible at eye-level. He probed at the hidden notches, there were two, and depressed the first one. Suddenly the side board that contained the flaw slid smoothly down into the panel beneath it, revealing a secret compartment. At first this revelation surprised Darren. A secret compartment, how cool was that? But then, it was just like Ethan to have included something like this. Curiously, Darren reached inside the small opening, felt around and pulled out the objects his brother had hidden. Read more here. There is also a giveaway at the author's website. Mark Harris lives in Smithfield Utah, a small town located in a beautiful valley in Northern Utah. His wife, Shaundale, and he have five terrific children, two girls and three boys. 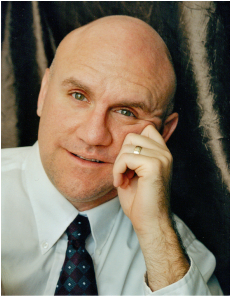 Mark has taught English and Special Education and currently works from home teaching English to people from all over the world. Writing has always been his true passion since he was a grade schooler writing about mushrooms. "Bewitched" will be his debut novel. He has two others underway and will soon start on the sequel to "Bewitched," called "The Return of the Familiar." He hopes you enjoy his work because he is working on several series geared toward younger audiences. Darren is having it rough. Thanks for sharing this exciting book.